What Chapter(s) and Verses Are Included in Juz’ 15? The fifteenth juz’ of the Qur’an contains one complete chapter of the Quran (Surah Al-Isra, also known as Bani Isra'il), and part of the next chapter (Surah Al-Kahf), marked as 17:1-18:74. Both Surah Al-Isra and Surah Al-Kahf were revealed during the last stages of the Prophet Muhammad's mission in Makkah, before the migration to Madinah. After over a decade of oppression, the Muslims organized themselves to leave Makkah and start a new life in Madinah. "As it is, a man often prays for things that are bad, as if he were praying for something that is good. For man is prone to be hasty in his judgments" (17:11). "Whoever chooses to follow the right path, follows it but for his own good, and whoever goes astray, goes astray only to his own detriment. No bearer of burdens shall be made to bear another's burden..." (17:15). "Your Sustainer has ordained that you should worship none but Him, and do good to your parents. Should one, or both of them, attain old age while in your care, never say 'Ugh' to them or scold them, but always speak to them with respectful speech. And spread over them the wings of humility and say, 'Oh my Sustainer! Bestow Your grace upon them, as they did cherish and rear me when I was a child!'" (17:23-24). "And never say about anything, 'I will do this tomorrow' without adding, 'if God so wills' (insha'Allah)..." (18:23-24). Surah Al-Isra is also known as "Bani Isra'il," a phrase that is taken from the fourth verse. However, the Jewish people are not the main theme of this surah. Rather, this Surah was revealed at the time of Isra' and Mi'raj, the Prophet's night journey and ascension. This is why the surah is also known as "Al-Isra." The journey is mentioned at the beginning of the surah. Through the rest of the chapter, Allah gives the disbelievers of Makkah a warning, just as other communities such as the Israelites had been warned before them. 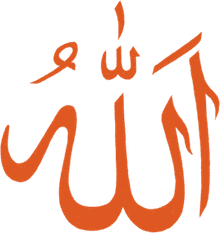 They are advised to accept the invitation to give up idol-worship and turn to faith in Allah alone before they face punishment like those before them. As for the believers, they are advised on good behavior: being kind to their parents, gentle and generous with the poor, supportive of their children, faithful to their spouses, true to their word, fair in business dealings, and humble as they walk the earth. They are warned of the arrogance and temptations of Satan and reminded that the Day of Judgment is real. All of this helps strengthen the resolve of the believers, giving them patience in the midst of difficulties and persecution. In the following chapter, Surah Al-Kahf, Allah further comforts the believers with the story of the "Sleepers of the Cave." They were a group of righteous youth who were mercilessly persecuted by a corrupt king in their community, just as the Muslims were being mistreated at the time in Makkah. Rather than lose hope, they emigrated to a nearby cave and were protected from harm. Allah let them sleep (hibernate) for a long period of time, perhaps hundreds of years, and Allah knows best. They awoke to a changed world, in a town filled with believers, feeling like they had only slept a short time. Throughout this section of Surah Al-Kahf, additional parables are narrated, to give believers strength and hope, and to warn the unbelievers of the punishment to come.